Does NOW biotin work for stimulating hair growth? 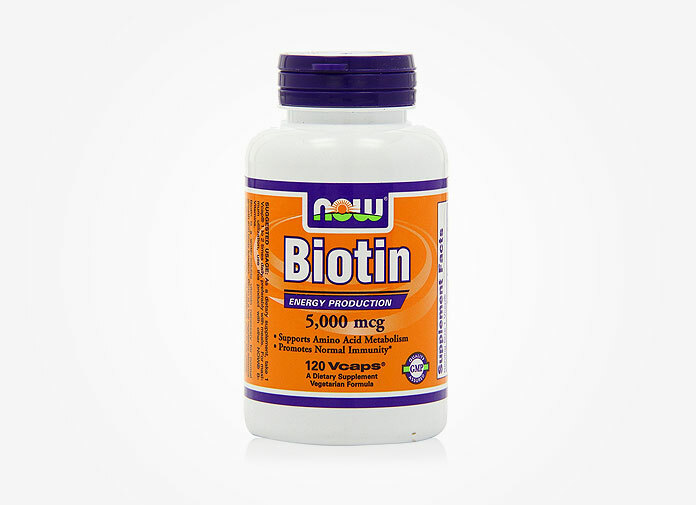 In this review, we will briefly talk about the company, the overall quality of their supplements (which people often question), and pros and cons of NOW Biotin supplements for hair loss. About the company – Is NOW Foods trustworthy? First, because NOW’s vitamins and supplements are CHEAPER than other competing brands, there are a lot of comments concerning about their possible quality issues. NOW Foods is a family-owned business that has been around over 40 years. The business has received numerous awards over the years from various publications (Chicago Tribune, deliciousliving, Cleaning eating magazine, just to name a few) for providing quality supplements. The company also follows the good manufacturing practice to ensure the consistency and quality of their products. NOW Foods also emphasizes the fact that company’s primary goal is to provide high-quality health supplements at affordable prices. 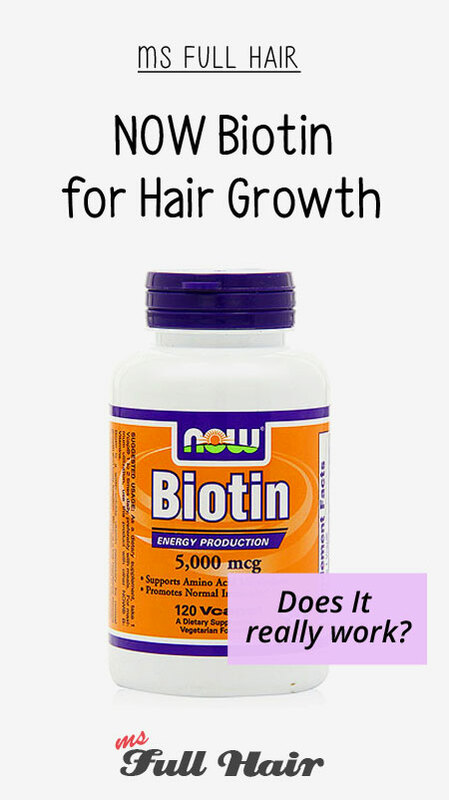 How effective is the NOW biotin vitamin for hair growth? Biotin is a part of the B-complex vitamin family. One of the main benefits of taking biotin supplements is definitely for hair. Biotin is known for promoting healthy hair growth, nourishing follicles, preventing premature hair loss and helping with faster and stronger hair growth (Dr Oz is also a big fan of biotin for hair). People with thinning hair often take biotin specifically for trying to prevent further hair loss and regrow the lost hair. We analyzed a handful of reviews from customers who purchased the product in order to improve their hair conditions (some of these conditions include general hair loss, brittle hair, thinning on top, and bald spots). Most of those people have noticed a big difference in the strength of their hair after taking NOW Foods biotin for several months. Also, quite a number of women reported that they shed less hair after taking the supplement for a couple months. Many also mention that this biotin really helps with faster hair and nail growth as well. 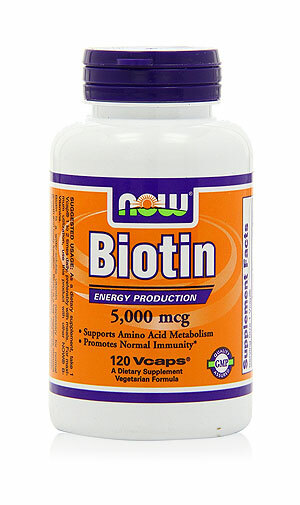 People also love the fact that this biotin is affordable, compared to other big brands. Similar to any other hair supplements, there are also reviews reporting that they didn’t see much noticeable changes in terms of new hair growth. But the good news is we didn’t find a review of people complaining about acne or skin breakout from taking NOW biotin for hair growth, which is one of the most common complaints for many biotin supplements. All ingredients contained in each product are exactly the same. The only difference is the amount of biotin included in each one (Here is a list of NOW biotin ingredients: Biotin, Rice Flour, Cellulose, Magnesium Stearate and Silica). All of them come in veg capsules making it easier to swallow. Country Life: Country Life offers supplement called Maxi Hair (Our review here), which is their version of hair growth formula with biotin in it. Sports Research: This brand is a new kid on the block. But their biotin, which is infused with coconut oil, is the best seller right now with 7700+ reviews. Where to buy NOW brand supplements? The official website doesn’t sell their supplements directly (for information only), but you can find their products at other popular sites such as Amazon, iherb or drugstore.com. Have you tried NOW biotin or any other brands? Share your experience below.